Now this is talk radio. Listen to it all – we blow it up. Boom! 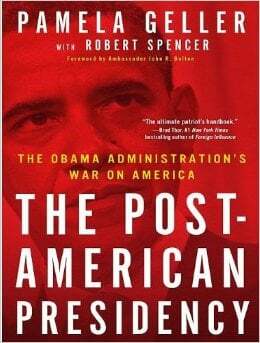 This week we discuss the fact that President Trump has higher approval ratings than President Obama at the same point in their respective presidencies and the mainstream media is continuing to burying anything negative about the Obama administration. 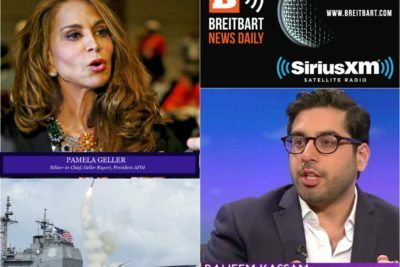 Pamela Geller on Breitbart Radio with Raheem Kassam: FATWA! 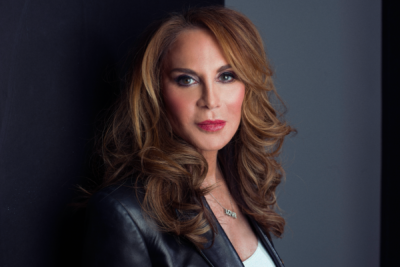 Pamela Geller, editor-in-chief of the Geller Report spoke with Breitbart News Daily SiriusXM host Raheem Kassam on Thursday regarding the release next week of her book Fatwa: Hunted in America. 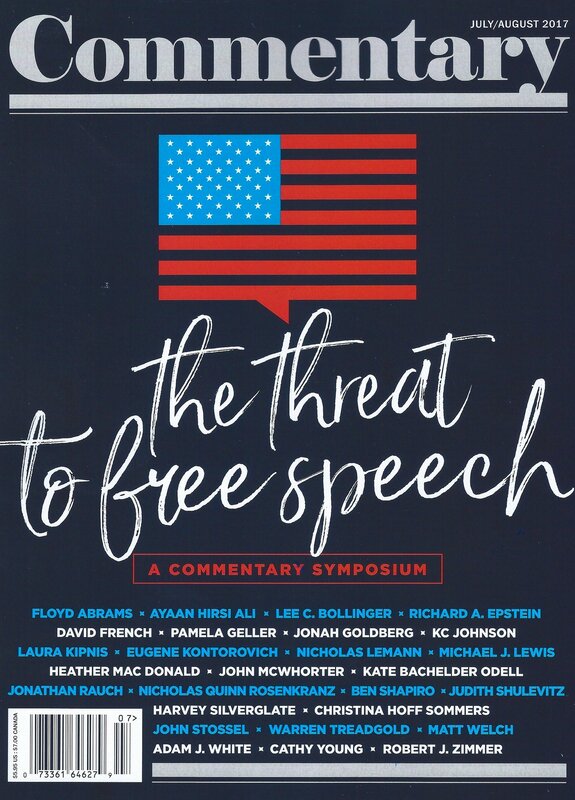 Pamela Geller called the obstacles Berkeley seems to be building to thwart the event a form of totalitarianism, adding that millennials have no idea what free speech is and need to hear other voices. 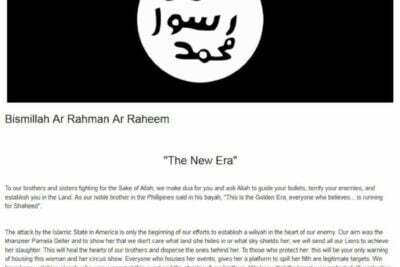 “There is a systematic takedown of conservative websites. It’s very dangerous. Never in recent history, has so much power, immense power, been in the hands of so few,” she declared. In an interview with Edina Becirovic, the author argues that “moderate Bosnian Islam” has nothing to do with Islamic radicalism, trying to shift the focus of security threats. 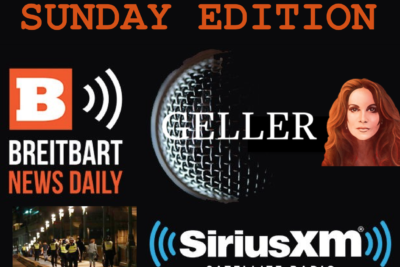 I’ll be on Breitbart Sunday News Edition tonight at 7:40 pm Eastern to discuss the catastrophic failures of Western policies in combating jihad and terror and what we can expect if we continue down this suicidal path. 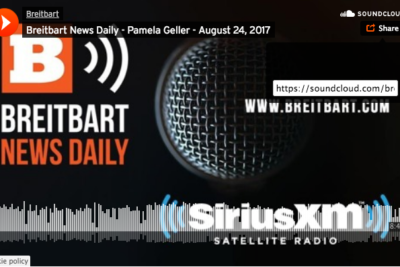 If you missed my segment on Breitbart radio talking about our #CancelSarsour protest — listen to this interview and RSVP to the protest here. Now more than ever. 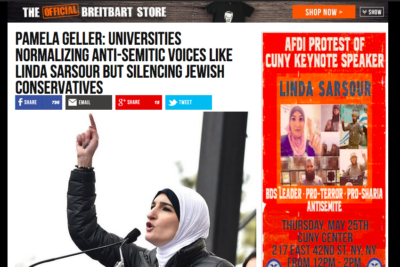 Sarsour, a pro-terror spokesperson, should absolutely be canceled In light of the Ariana Grande jihad slaughter. She stands with the jihad. Former Boston Red Sox pitcher and Donald Trump supporter Curt Schilling had me on his daily online radio show for Breitbart on Friday. If you missed it, have a listen. 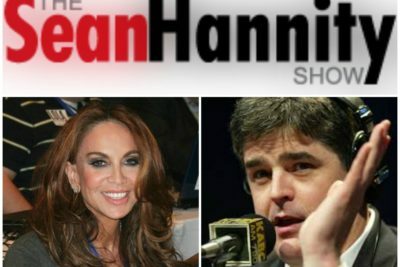 Sean Hannity had me on his radio show yesterday to discuss our #CancelSarsour protest on May 25th at noon. President of Former Muslims United Nonie Darwish joins me. Raheem Kassam, Breitbart Radio Host and Editor-in-Chief of Breitbart London, interviews me on my take on the US Syria airstrike. Because you asked — here’s the segment I did with Sean Hannity discussing the groundbreaking work our organization AFDI is doing. 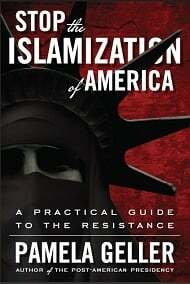 I will be appearing on America's Morning News with John McCaslin and Dana Mills, a nationally syndicated morning-drive radio news show, on 275 stations and in 83 countries on Armed Forces Radio… Tune in at 6:30 (Eastern) tomorrow morning for my take on Syria and a number of other pressing issues. 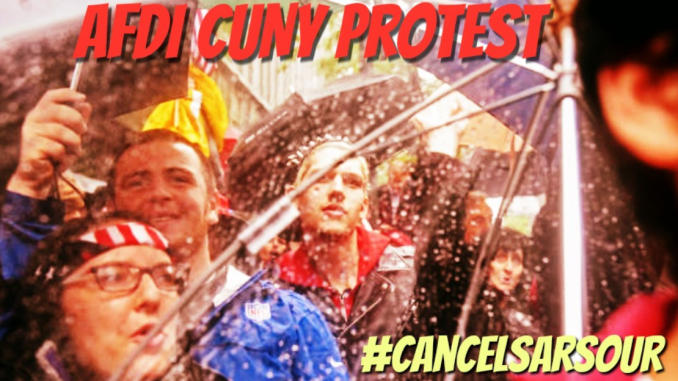 If you missed my appearance on The Bob Grant show on WABC earlier today, talking about this, Eduardo was kind enough to email the audio here. If you want to to listen to my interview, it's at the 39:00-53:02 mark. HEADS UP! ATLAS IS ON THE AIR TONIGHT!